Sorry... the 2017 Toyota RAV4 is no longer being sold as new. 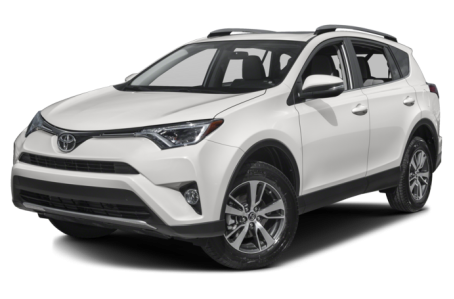 Instead, take the first step to a great deal on 2019 Toyota RAV4 with a free price quote! The RAV4 is Toyota's compact SUV that competes with models like the Honda CR-V, Ford Escape and Hyundai Tucson. Toyota added a hybrid version last year. Toyota Safety Sense P is now standard on all trim levels. It includes forward collision warning with pedestrian detection, lane departure warning and prevention, automatic high-beam headlights and adaptive cruise control. A new Platinum trim level is now available. Features include a navigation system, JBL audio, ambient interior lighting, a heated steering wheel, a foot-activated power liftgate, a top-down camera view and Platinum badges. A new SE version of the RAV4 Hybrid features a honeycomb grille, unique 18-inch alloy wheels, a black headliner, and orange or black contrast stitching depending on the interior color. 326 of 334 (97%) consumers said they would recommend this vehicle to a friend.